1) Blown or clipped highlights cannot be recovered. 2) Shadow recovery is noisy. Recent cameras have improved this a lot but still, it can be painful to recover dark shadows without introducing noise. In order to get an optimized exposure keeping in mind the above two points, a technique known as ETTR was developed. It is a helpful but very controversial technique. Some photographers intentionally overexpose or underexpose certain parts of an image as a part of their creative arsenal, but ETTR is more than just increasing the exposure of an image. ETTR stands for expose to the right or I would call it a technique to achieve optimal exposure. The word right comes from the fact that histogram of a bright image or an overexposed image appears to be on the right. In other words, image histogram is shifted to the right as exposure goes up. ETTR is a technique to maximize the tonal information captured by the camera sensor in a given situation. By using ETTR, you are basically lifting shadows in photograph right at the moment when taking the shot without blowing out any highlights. Some photographers like to sustain all the highlights, whereas some are okay with blowing out not so important highlights in an image. It is all about a photographer's own style and needs. The image below shows the histogram of ETTR technique based image in comparison to a normal exposure image. 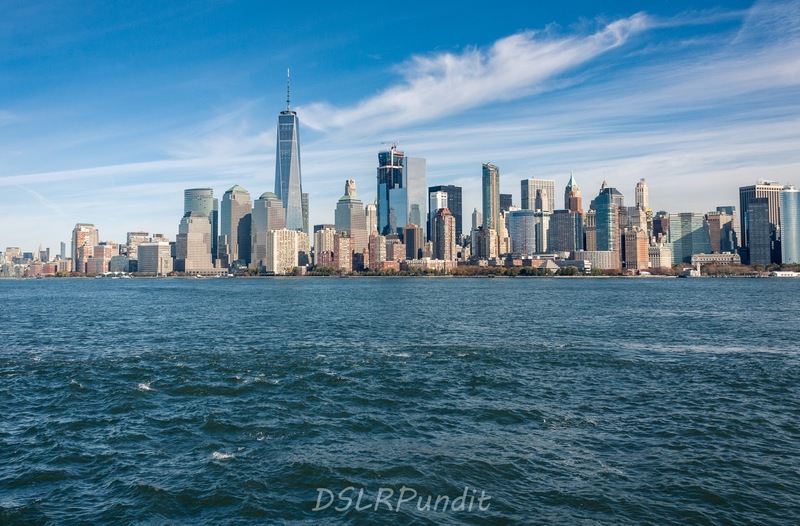 If you want to expand the dynamic range of your photograph beyond what your DSLR sensor can capture, please use post-processing methods such as HDR technique. Let's get a bit technical now, although I will try to avoid the complex use of terminologies. If the signal (light) hitting the DSLR sensor is strong, you will notice better image quality due to higher signal to noise ratio. In dim parts of an image, the signal to noise ratio is very low. This is why bringing up dark shadows introduces a lot of noise during post-processing. ETTR technique allows capturing of more light, thus a better signal to noise ratio. The user has to maximize the incoming amount of light using either aperture or shutter speed value. Is it recommended to increase ISO to achieve ETTR? No. ETTR is best at base ISO. Example: At a given shutter speed and aperture value, indoor shot at 1600 ISO looks fine. Do not increase this ISO to 3200 or 6400 to achieve ETTR. The noise introduced by increasing the ISO would nullify the benefits achieved by lowering the exposure in post-processing. Sometimes an increase in ISO becomes a necessity when the aperture or shutter speed is not enough to achieve even a normal exposure shot. Example: Indoor weddings or events. Use histogram as a tool. Take a shot and look at its histogram. If the histogram is at the center or left, open up the aperture or reduce shutter time to adjust. Most of the DSLR cameras allow live histogram in live view which is extremely helpful to optimize the exposure for ETTR. Note: Histogram inside the camera comes from embedded jpeg preview of the raw file, so it is not a fully accurate representation of the raw file information. Use Blinkies or flashing red highlight alerts. The blinkies or flashing red highlight alerts is a common functionality offered by digital cameras these days. The purpose of blinkies is to point out the blown out or clipped part of the image so that the user can adjust the exposure accordingly to prevent the issue. Blinkies should be kept to clear zero or very minimal level for a decent image. 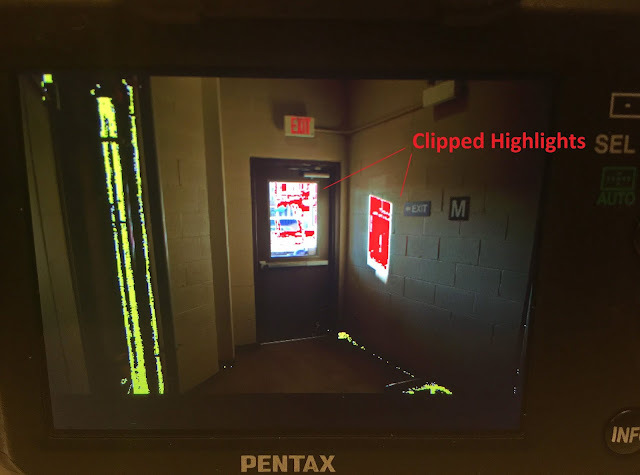 The image below shows the blinking red alerts on a Pentax digital camera for overexposed highlights. Once the shot is taken without any clipping, decrease the exposure and highlight value of the image during post-processing. This will reduce the noise present in the image. Wedding and sports? If you are good at adjusting settings within milliseconds, absolutely. These are extremely fast paced events and there is no time to think about whether to expose to the right or left. Basically, as long as you don't clip highlights, you will get better details from a slightly overexposed shot instead of an underexposed one. Landscape, nature and city architecture. Normally in these situations, the photographer has a fair amount of time to nail the settings so ETTR is good. Blown highlights or clipped highlights are gone forever, say bye-bye to that data. This makes ETTR a really risky technique and a big turn off for so many photographers. Recovering darker shadows is much less risky than highlights during post-processing which makes ETTR a very strong topic of debate. You can't recover anything from a blown out part of the image no matter how much you move the Exposure or Highlights slider in Lightroom. Lastly, for a lot of photographers, the hassle of exposing every image to the right is not worth the time. Do you use ETTR for every photoshoot? Share your views in the comments below.